The Stol is a mountain ridge overarching the Soča and Nadiža valley, which runs in an east – west direction for 35km and is the longest ridge in the Julian Alps. The highest peak is Stol (1673m). The ridge is restricted by Drnohla, Učja and Soča in the north and Breginjski kot in the south. The mountain slopes are very steep and the ridge itself very narrow. The natural conditions in Breginjski kot are unsuitable for agriculture, so the emphasis was on animal husbandry. There is an active mountain pasture on the pass Božca, which houses cattle and sheep in the summer. Stol is a popular destination for hikers, mountain bikers and paragliders. The southern slopes hold many meadows. The whole area is a part of the Natura 2000 EU protected area. When you descend the meadows change in beech and black hornbeam forest. Stol is the home of several endangered bird species, such as corn crake, rock partridge, griffon vulture and mountain eagle. From the top of the ridge you have a beautiful view on the Kanin, the Julian Alps, Krn, Matajur. Clear skies offer you a view of the Adriatic sea and the Dolomites. Bivouac under Musec (1550m). 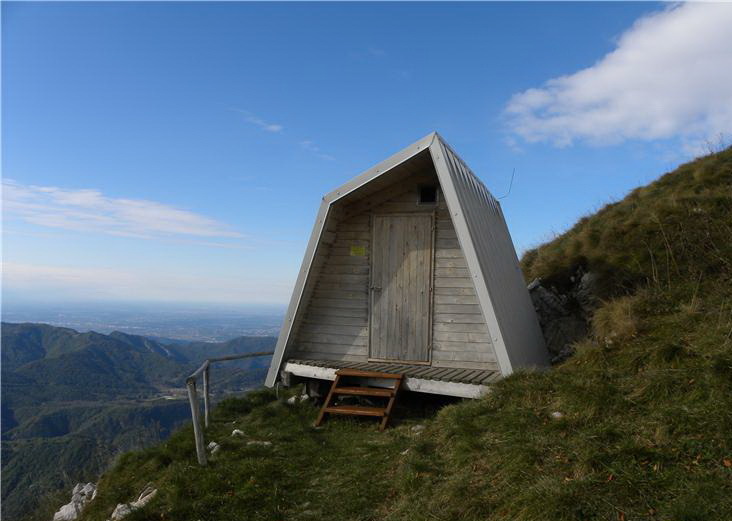 The bivouac is situated west of the peak of Musec towards Gabrovec (app 10 min hike). The bivouac with space for 8 people (4 beds and 4 emergency beds) was built in 2002 on the initiative of Breginjski kot development society. From the bivouac you have a nice view on Breginjski kot and the Adriatic sea. 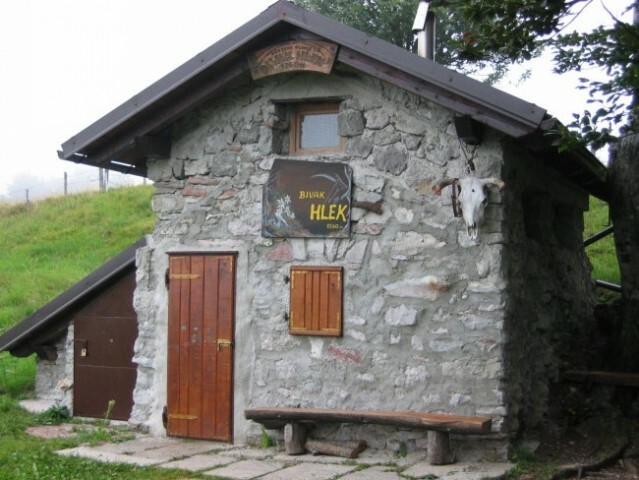 Bivouac Hlek (1225m) is situated on the eastern part of the ridge between mountain pasture Božca and Starijski Vrh. The bivouac consists of 2 rooms. The ground floor holds the stove, table and benches while the first floor is used as sleeping quarters. 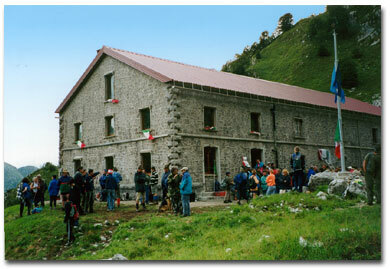 The cottage Monteaperta – Montemaggiore (1468m). The mountain cottage is situated on the premises of old army barracks. It is situated on the Italian part of the Stol ridge, between Križ pass and Lanževica peak. The Stol ridge offers several peaks to conquer. The peaks are extended along the 30km long ridge. All the peaks are easily accessible and offer a beautiful view on the surroundings. More information on hiking trips can be found by clicking on the picture. The Stol mountain ridge offers several biking trails ranging in difficulty from very easy to very difficult downhill descents. All biking trails offer an excursion into pristine nature with spectacular views. More information can be found by clicking on the picture. Stol is a heaven for paragliders. The long ridge offers long flights and supports big competitions. More information can be found by clicking on the picture. The slopes on the eastern side of Stol are not too steep which allows cross country skiing. The starting point is usually the Stol peak. From there you head to mountain pasture Božca and then left towards Učja. A bit more difficult trail leads towards Breginj. The skiers usually take a ravine which runs from the Stol peak, past the TV transmitter into the valley. This second trail is more difficult and can be dangerous due to avalanches.